PRESIDENT General of the Oilfield Workers’ Trade Union Ancel Roget made a grim prediction after a three-hour-long meeting with officials from the Ministry of Education and board members from the University of TT (UTT) outside Education Towers on St Vincent Street, Port of Spain yesterday. 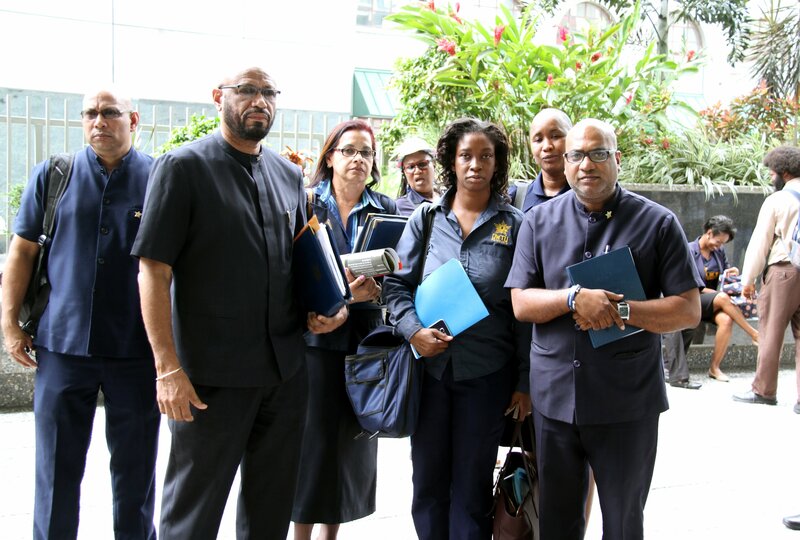 A visibly frustrated Roget told reporters and UTT staff that the union failed to reach any agreement with the ministry, and government was intent on continuing with it’s decision to dismiss 287 UTT staff members. He said if allowed to happen, the consequences for the university and society could be devastating, citing increased unemployment and crime in the absence of a skilled workforce. He also criticised government for their failure to address rampant crime and said the cutting of staff would only exacerbate the situation. He said while the union understands the need of the government to minimise cost, he believed other options could be explored without having to sacrifice the livelihoods of staff. He questioned the legality of the proposed dismissal and said the decision to reduce support staff would inevitably result in the university’s closure. Roget said he intends to supply the minister with suggestions on cost-cutting measures within the UTT for another meeting. Reply to "Roget predicts more crime if UTT staff-cutting continues"